The fourth installment of the costumed parade. 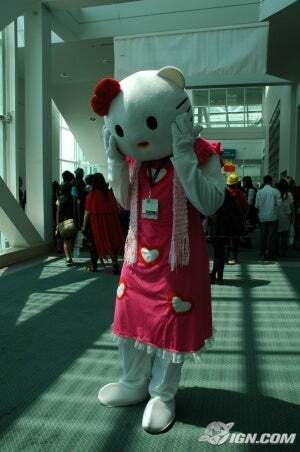 July 4, 2008 - Earlier this afternoon, IGN attended the second day of 2008's Anime Expo in Los Angeles, California. The expo, the largest in the nation, draws over 40,000 anime and manga enthusiasts from all over the country. This year features exhibits from all of the largest production companies in the industry such as Bandai, Funimation, Namco, and ADV, as well as special guest presentations by David Hayter, Takada Akemi, and Shoko Nakagama. 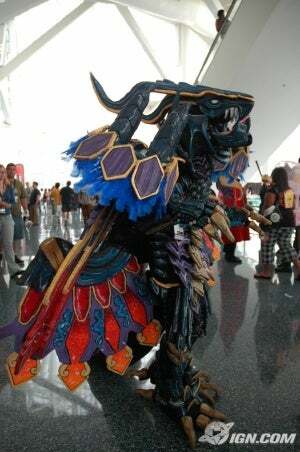 For day two of 2008's Anime Expo, IGN roamed the halls of the Los Angeles Convention Center grabbing shots of some of the most compelling and unique cosplayers. Many Expo-goers chose to emulate their favorite characters from such franchises as: The Legend of Zelda, Naruto, Hellsing, Death Note, Metal Gear Solid, and even the Adult Swim series Metalocalypse. 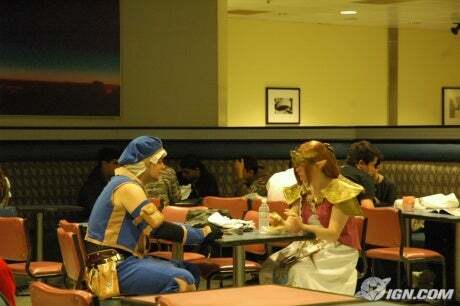 Stay tuned to IGN for all the latest news from Anime Expo 2008.
lol Zelda at the food court! man whoever did that huge blue creature thing is amazing! The convention centre it's held at seems really nice. Lots of natural light. What Bethesda learnt from Oblivion and the new direction it's taking Fallout in. Jess takes us around the show floor at Blizzards 2008 mega event. As we wait for the release of Chrono Trigger, we look at the game that started the madness. Obrovský výběr na PS2 skladem.